In our previous articles, we mentioned about some tips to get more subscribers for your online courses with landing page. Have you got any for your list? If yes, congratulations! You are successful to go through the first stage of converting audience to customer. Now, it’s your mission to make sure these subscribers keep connecting with your business. And welcome emails can support you to maintain relationship with them. With every new subscriber, it’s really important to carefully start contacting with them by sending great welcome emails in order to take first steps in their journey with your business. According to Hubspot, welcome emails usually mark high open rate of 50% which are more effective than newsletter. Therefore, you will need to take your time to prepare for welcome emails for your subscribers. If you are still struggling on how to get people to sign up for your list, you can read through our some guides to generate lists by Facebook, Facebook Group, Landing Page or Content to reach higher sales for online courses. 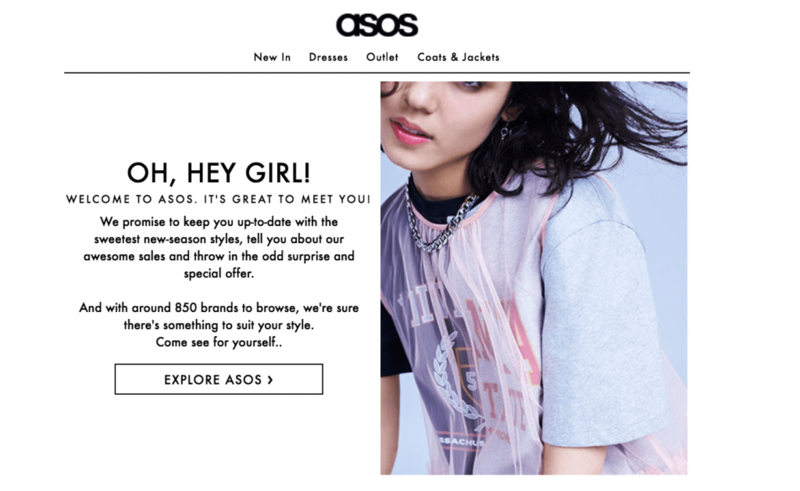 Welcome emails are known as the first emails that businesses send to customers after they register on the website with the desire to receive information about products, services or promotions. However, welcome emails also give the first impression that businesses create with customers and determine the success of the entire campaign. Welcome emails usually include a thank you statement for the customer who registered the service, the password when registering for logging in your website, the link to the company website, the email address to answer questions, how to unsubscribe or instructions to update user information, etc. Statistically, welcome emails have the highest open user rate, furthermore, a relationship between business and customer is established through it. It should not show formal words. Besides, you can start with friendly message and highlight your proposition, tell the audience more about your business. Remember to try to show that they are listening from real person and this email is just for them (even you’re using email marketing tools to send mails). Here are some tips of elements that you can include in welcome emails. You can start your welcome emails with a thank to the audience by subscribing to your business. That’s their choices to follow with you, so a gratitude will give them feel you are caring about them. It can be a simple text line of “Thanks for signing up” or include creative design like images, GIFs or any type. Or, you can write something straightforward like: “Welcome to our email list” or “Thanks for signing up to our newsletter”. 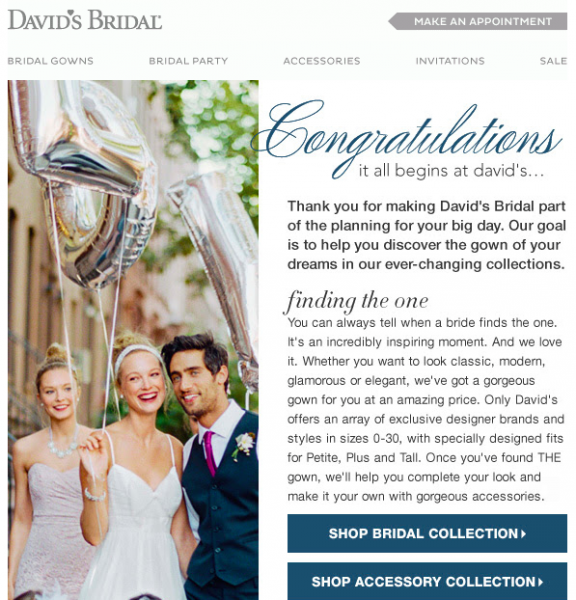 It’s totally possible if you want to start with a little more formal like emails from David Bridal. Do not worry too much! There’s no right or wrong way to welcome new guests. Just make sure it’s conversational and fits your company’s voice. Welcome emails should begin with a warm introduction that reflects your company’s personality. Before sending newsletter emails, you should give your receivers strong awareness about your brand and business. They deserve to know more about who they are following. Welcome emails always act as a handshake between your subscribers and your business. If you are creating online courses, you can share some courses with prices that you think your users will like it. Your subscribers can come from any source including sources not from your website. That means may be some of them does not truly know about you. Therefore, you should make a point to introduce your company even basic information that many people know about you. Note: You can ask your subscribers to confirm subscribing or add you to their contact list in order not to deliver your emails to spam box. Let your subscriber know what they can benefit from your business if they keep following with your newsletter. You can inform them which information and how frequently you send emails for them. For example, you are selling online courses. You can tell them how many days they will receive new study material or promise to send them notice when new modules are available. It’s also a good idea to tell subscribers why they should join your email list. You can simply list all the benefits in digestible bullet points like Poppin. did in their welcome email. One of important element that you can include in your welcome emails is sending them offers that they can’t miss. You subscribers followed with your brand by giving them email address. Therefore, they deserve to receive something that they would love. One of the factors that motivates customers to purchase is promotions or gifts. Also in welcome emails, take that advantage and provide customers with opportunities to receive gifts or promotions. But remember, what motivates them to purchase immediately is to set a time limit for promotions. Besides, by offering free gifts or discounts, you will create good impression between your company and users. It may enforce them to make purchase with your company. For example, you can offer them free subscription for your online courses for limited time. Or you can offer free study material (video, ebook, note, etc). Or you just need to give them 15% off with the first purchase as a welcome gift. It’s just a small incentive but can bring you valuable benefit. Note: You can put a clear call-to-action to promote the subscriber to catch the special offers. 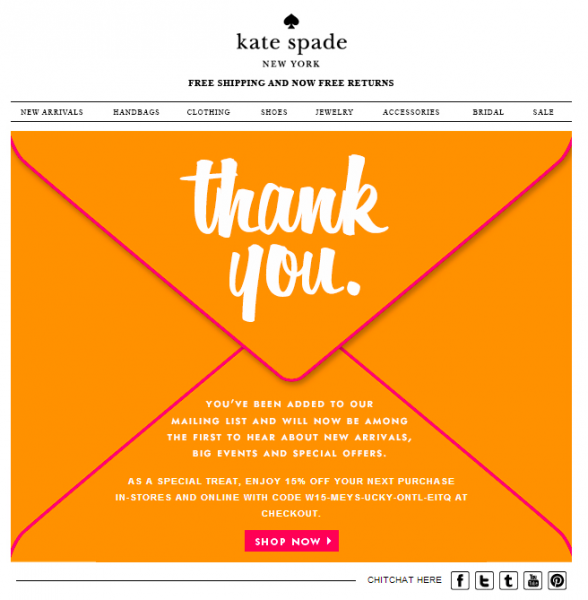 For example, the button “Shop Now” in the email of Kate Spade makes it prevalent and urgent. The words are motivating recipients to click immediately. 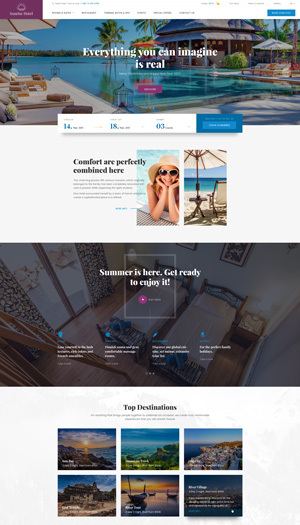 You can make your welcome emails look more impressive with amazing colourful images. You can use the images to show of your brand’s personality. Remember to try using compelling or emotion evoking images related to your company. 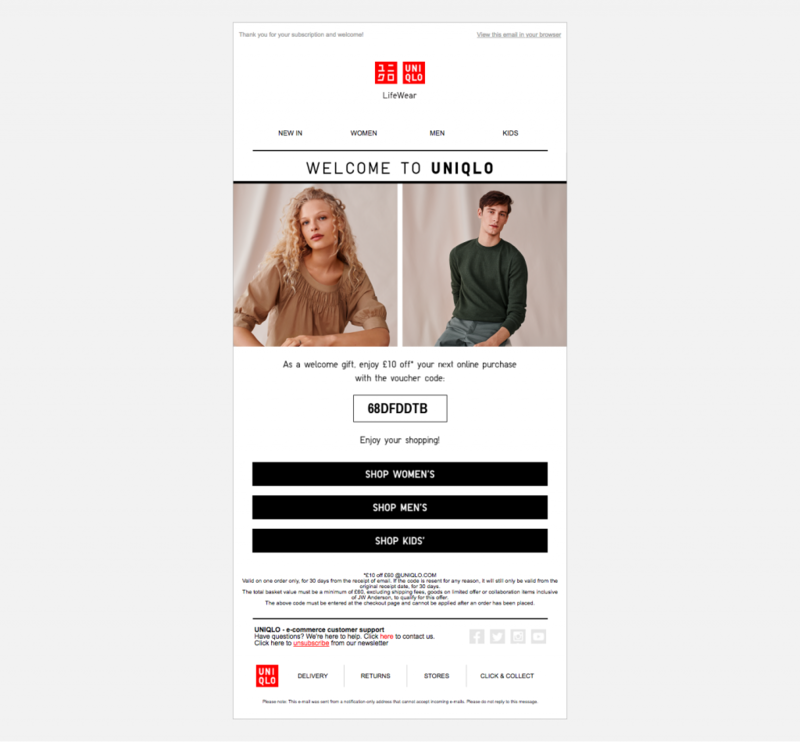 For example, Selfridges & Co – a chain of high-end department stores – forms their welcome emails with a shopping bag with the signature color of the brand. 79% of mobile users use their smartphones to read email. Therefore, the responsibility is also an important part deciding the success of your welcome emails. In other words, you should create welcome emails which look good on devices such as: mobile, tablet. 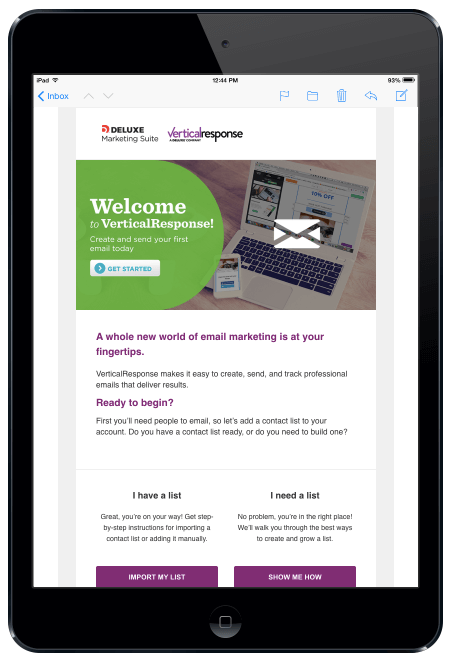 You can check out the email from Vertical Response on a tablet. 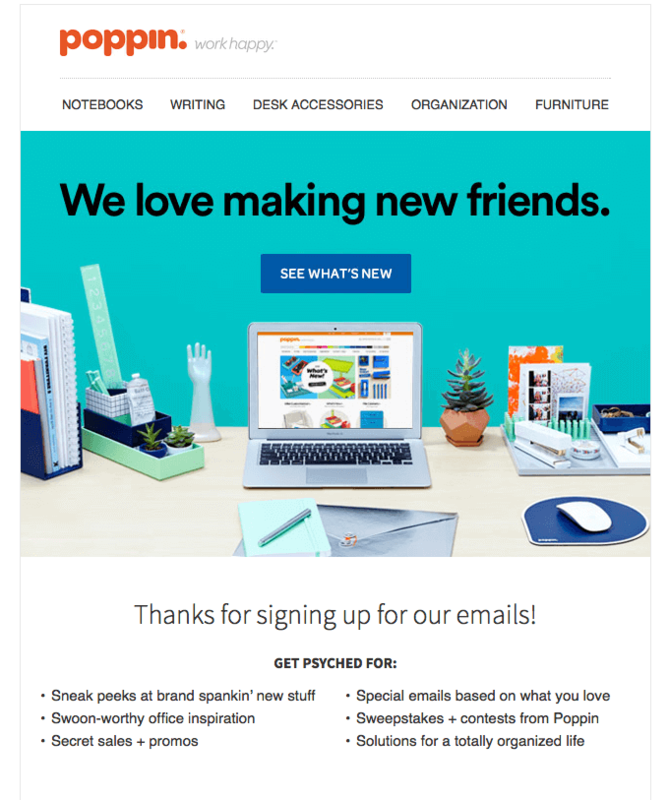 Note: Leverage referral email marketing to get more sign-ups for your brand. 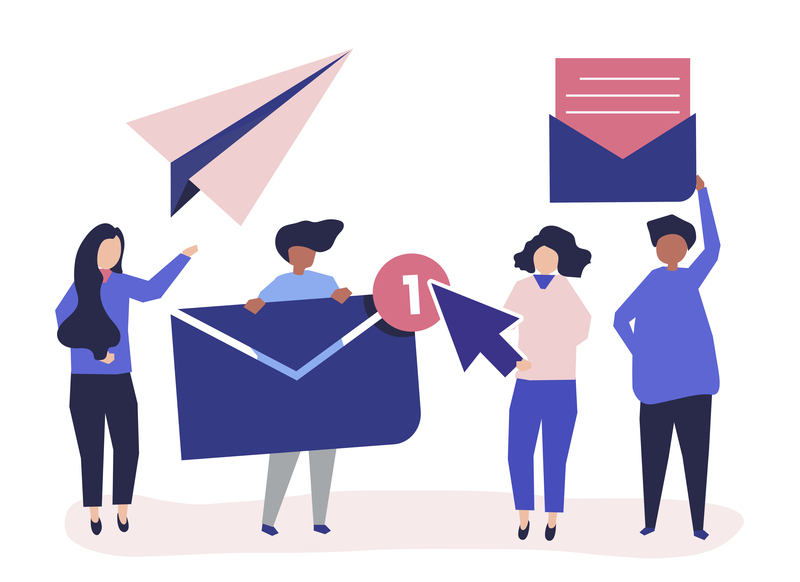 Instead of sending a single one, you can create a series of welcome emails to gradually build relationship with subscribers. A timeline for this series need to be planned. Also, the content of welcome emails need to connect with each others. By starting with a series, you can attract strong impression of your business to recipients.